San Franciscans are b-u-s-y and want quick and easy ways to get around. Enter JUMP. The company offers on-demand electric bikes that can be reserved in-app and locked to any city bike rack. Hurried riders have left bikes blocking pedestrians or traffic. 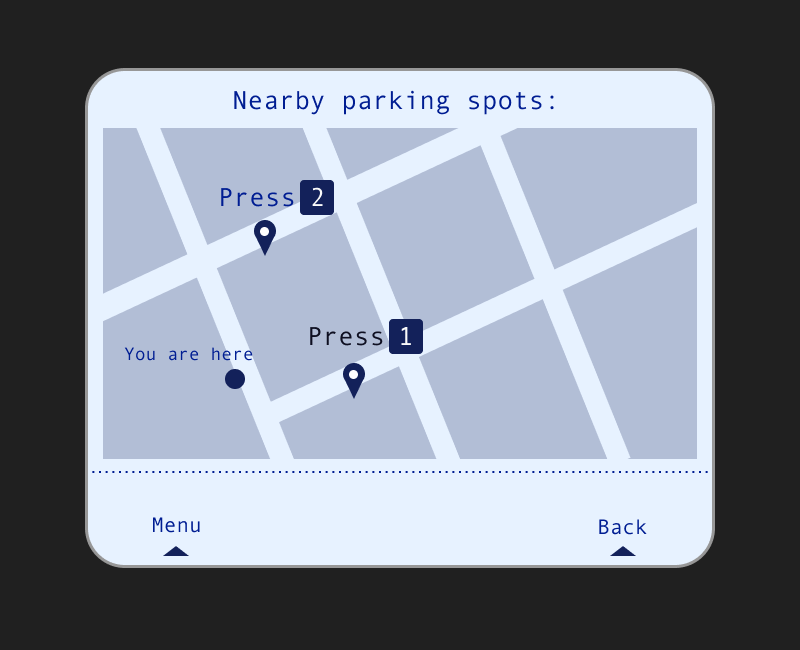 Notify users when they’ve parked incorrectly and reward proper parking. Bikers didn’t have their phones accessible immediately before, during, or after the ride so we created a solution outside the JUMP mobile app. Dealing with the app would add another layer of friction to riders’ experience. Instead, we decided to leverage JUMP’s existing design system by incorporating our solution into the rear computer screen on each bike. This screen is the one riders interact with to start and end their ride. We preserved the layout so interactions would feel comfortable and familiar for users. Our main change was informational: we altered the text that appears on the bike screen after the rider locks the bike. Our solution included direct feedback — the bike screen would tell users if they’d parked correctly. If they hadn’t, the computer would kindly suggest another parking spot nearby. Our solution tells bikers where and how to park correctly, which helps them avoid fines and gain confidence in their choice — two of their stated goals. During usability testing, we found that riders didn’t like that bikes would lock even though their parking spot was invalid. This caused frustration. Riders wanted locking to be dependent on proper parking. Going forward, we’d ask developers and hardware engineers if this is feasible and then test that feature. As a result of this experience, I learned that testing with actual customers provides the most salient insights. For this project, it yielded the most actionable feedback that was hyper-specific to JUMP. Next time, we’d interview more JUMP riders in the beginning to inform our early design decisions. Note: Shortly after this concept project launched, JUMP scrapped the bike computers in favor of bike phone mounts near the handlebars.